What watch do you wear? Discussion in 'General Discussion' started by Doran, Apr 21, 2008. Nice! Does it have a display back? I bet that would be nice a leather strap! Is it pretty thin? What's most people's reccomendations for around the 2.5k mark? A little but over but I'd put this on the list. Second hand Omega Speedy Pro. An absolutely stonking watch. The Cocktail Time is an excellent watch. Would have one of them over a CW any day. I bought my dad one a few years ago for his 70th, won't wear it in case he damages it. I'd personally look for something a bit different and feels special; Mont Blanc do some great watches at this price point, Hamilton (you won't need to spend 2.5k) or Tudor. I'd go Tudor all day for that. I can totally appreciate the craftsmanship and that they're the quintessential of that price range, but forgive my ignorance, but can't stand the look of Tudor or omega. Not wanting a bracelet so leaning towards breitling as a lot appeal to me (some beg to differ about the direction they have gone in etc) but always appealed. Thanks for the suggestions thus far. I ca't stand Breitling, they are possibly the worst brand I could think of. They rank even lower than Tag IMO and that's saying something, at least tag has some moderately interesting models. If you like Breitling then go second hand as that will open up far more options to you. At retail they tank, so you'll be able to pick up rather tastier models when pre-owned. 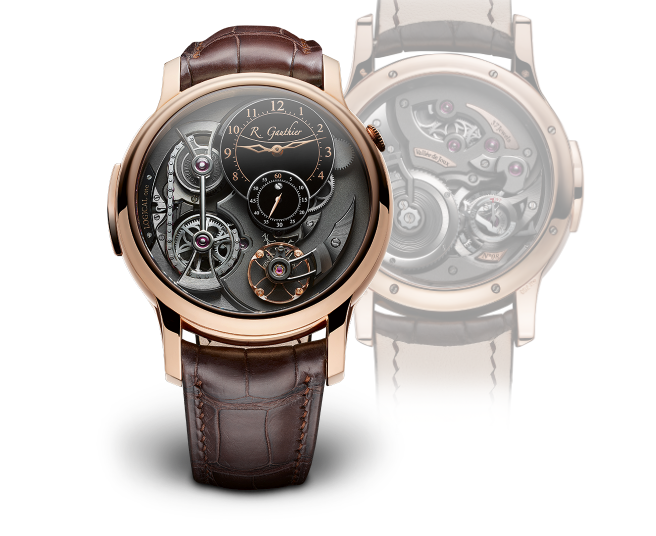 I've been looking at Romain Gauthier watches... their Logical One in rose gold is BEYOND stunning. I appreciate the craftsmanship but that's far too distracting IMO. Pffft what's all this common sense stuff about...?